Very nice drawings. 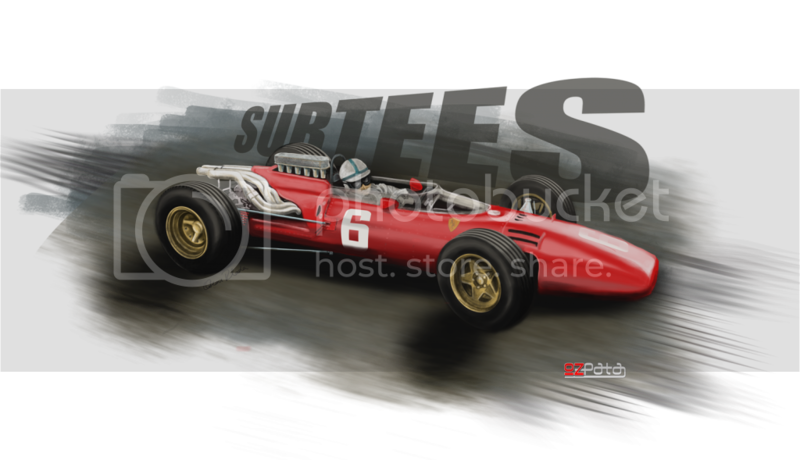 Like your friend Im looking for linedrawings to put on my workshop walls. 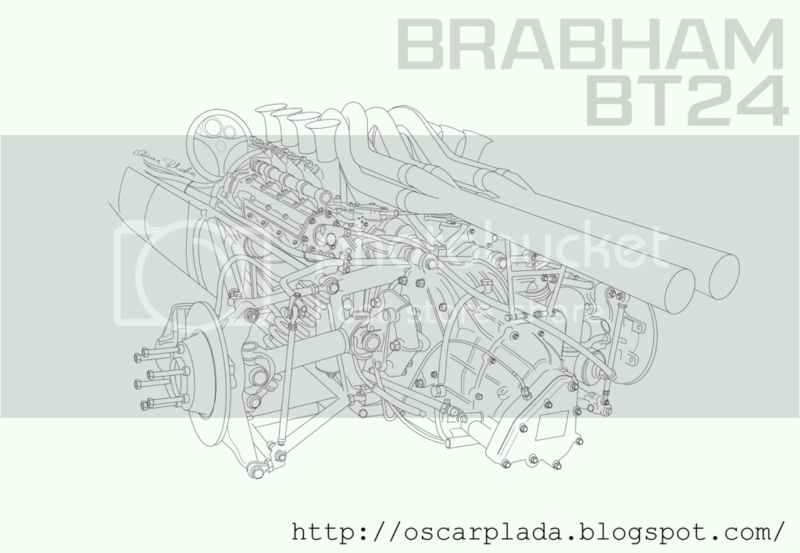 The linedrawing of the Brabham looks great and I would love to see other ones like it. Still drawing Ozpata , beautiful thanks . Wow, these pictures looking great!!! Edited by ozpata, Dec 29 2014 - 05:43 PM. Edited by ozpata, Jan 10 2015 - 11:05 AM. Damn, dude. You need a museum. Your work is superb! Edited by Remy, Jan 16 2015 - 04:04 PM. What an amazing talent you have. I have zero artistic talent, and can't imagine how you do it. What is the process? Do you look at a picture, and free hand it? in the case of some of those cars it can be tricky, first it was difficult to find one that showed the inside, so I had to look at the ones that have the same sort of angle and from there you construct the rest that you can't see, in some cases you draw a section only to find out that doesn't seem to fit with the rest so start again, the perspectives are sometimes not very helpful and usually pictures are not that big so there is very little chance on blowing them up to look at details, I looked at my data base and try to see a few models, fittings, how and where similar models had things mounted to try to imagine the areas where I couldn't see or find any pictures, narrowing down to in this case the car from Monza 67, with the help of some 66 pictures, in reality you walk around the car and take as many pictures as you need or that was the way it used to be done, you create a base from the angle that seems to work, most of the time it was from a ladder to get a good angle for a cut away for example. 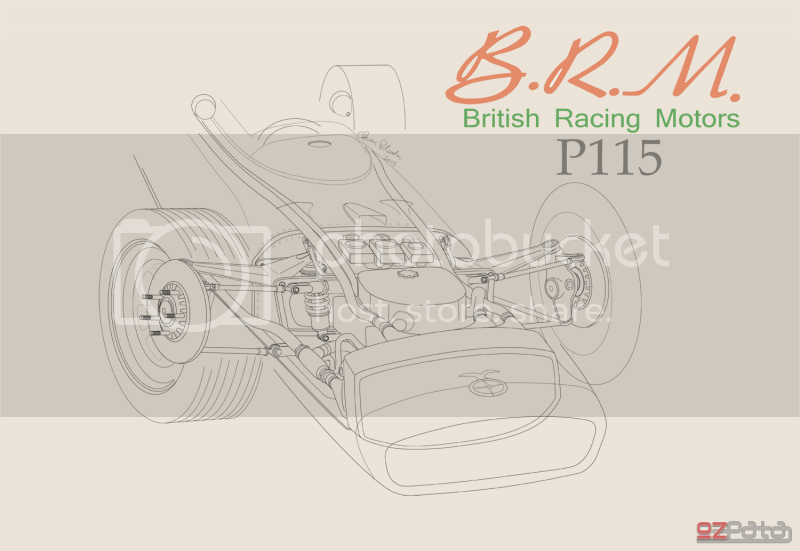 right now working on the rear view of the BRM and keep going, thinking on doing some blueprints or maybe track layouts , more detail line drawings , got a lot of cars and books to get references so will see. Well, you have all my respect. 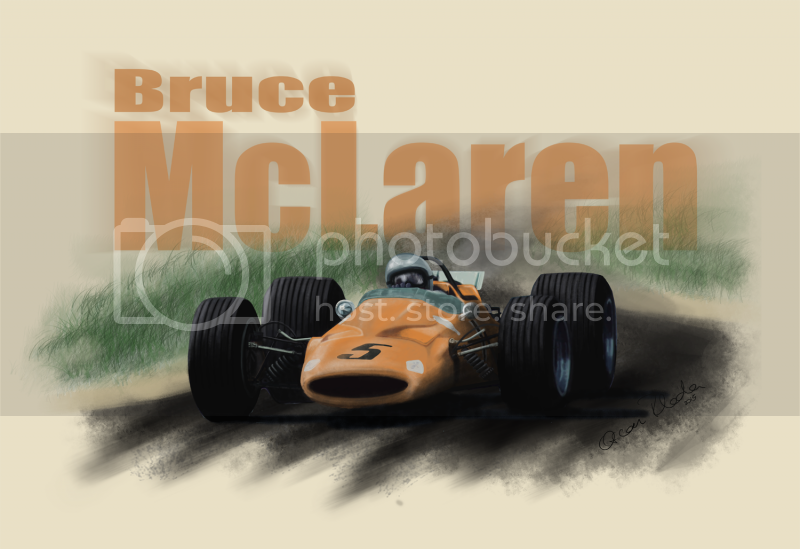 If I drew a car you wouldn't even be able to figure out what it was.